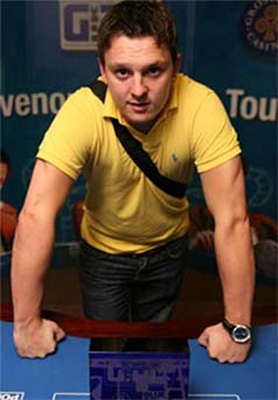 Having started last Wednesday during the WSOP Asia-Pacific, the Caesars Cup ended on Sunday with the victory of Team Europe led by Sam Trickett. As a reminder, the Caesars Cup 2013 is a poker tournament by team which gathered the biggest names in poker, grouped into three teams: Team Americas, Team Europe and Team Asia-Pacific. The Team Americas was composed of Daniel Negreanu, Antonio Esfandiari, Phil Hellmuth and Greg Merson with Phil Ivey as captain. This team tried to keep its title of 2011 against Team Europe of Sam Trickett (Marvin Rettenmaier, Phil Gruissem, Dominik Nitsche et Sam Holden) et Team Asia-Pacific of Joe Hachem (Jeff Lisandro, Jackie Glazier, Andrew Hinrichsen, Shane Warne and Richard Yong). As titleholder, Team Americas was automatically in finale and the semi-final was played between Team Asia-Pacific and Team Europe. The latter made the best score on three matches by team and ended up in finale. At this crucial test, Sam Trickett and Dominik Nitsche win the first match against Daniel Negreanu and Antonio Esfandiari. Phil Ivey and Phil Hellmuth faced Marvin Rettenmaier and Phil Gruissem during the second round that turned to the advantage of the Europeans. Greg Merson and Sam Holden finally found in head's up but Holden won the last hand on an all-in of Merson. Team Europe won the event and has at present two titles in Caesars Cup.